Our first stop in Seattle is always the MoPOP, even if we’re in town for a concert or baseball game. 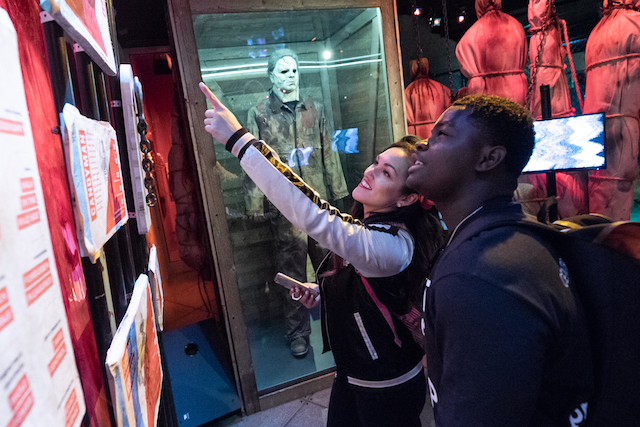 There’s never too many times you can view Kurt Cobain’s handwritten lyrics and Polaroid snapshots, along with the museums’s other fascinating musical, sci-fi or fantasy exhibits. During the month of February 2019 aka Seattle Museum Month, guests staying at any one of 64 participating downtown Seattle hotels will receive 50% off admission to 40 participating museums. MoPOP – Museum of Pop Culture. Photo by Ian Williamson. There’s a lot to explore, and this is the best time to do so since a family of 4 could see up to a $200 savings throughout a two-day stay during Seattle Museums Month. 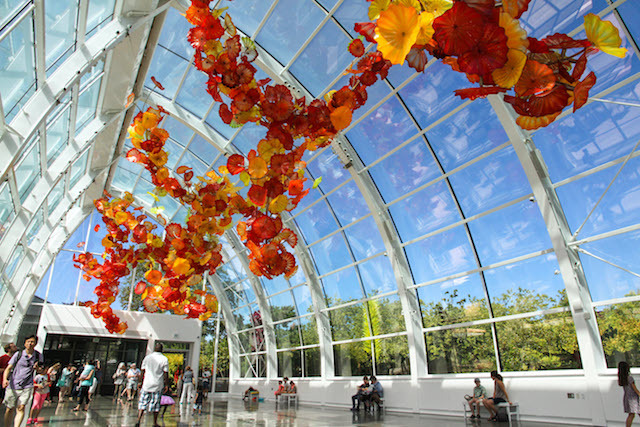 Enjoy renowned favourites like the Seattle Art Museum, Museum of History & Industry (MOHAI), Museum of Flight, Wing Luke Museum of the Asian Pacific American Experience and Chihuly Garden and Glass. Discover new one-of-a-kind museums guaranteed to pique your curiosity like the new Nordic Museum in Ballard, the Seattle Children’s Museum, USS Turner Joy Museum Ship, Suquamish Tribal Museum, Northwest African American Museum, Seattle Pinball Museum and the Living Computers: Museum + Labs. Adding to your savings, Lyft is offering 20% off three rides to help you get to participating Seattle Museum Month locations including regional favorites like the eye-popping collection at LeMay: America’s Car Museum in Tacoma, the Flying Heritage and Combat Armor Museum in Everett or the Bellevue Arts Museum. Follow Visit Seattle on Facebook, Instagram and Twitter for more info and browse my Seattle archives for more getaway ideas.